The ROUTE Brass Desk Compass features a nice polished brass body with a working liquid-filled compass. This compass is the perfect desk ornament or paperweight, making it the perfect gift for almost anyone. The back side of this weighted compass features a felt surface so you don't have to worry about scratches on your desk. 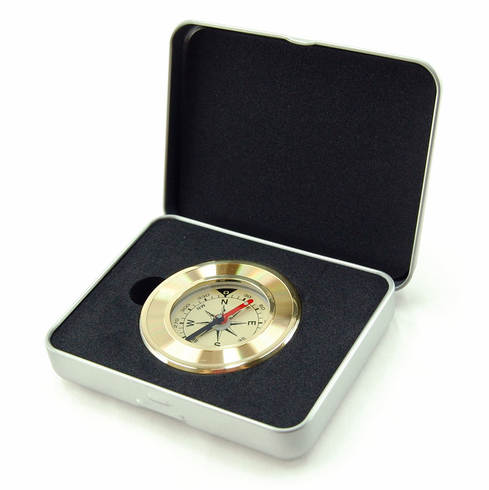 Each ROUTE Brass Desk Compass arrives in a foam lined hinged presentation box made of aluminum.